The Government has claimed its Change4Life campaign has cut the purchase of sugary fizzy drinks by more than 8% this year, with many consumers switching to "sugar-free" alternatives. The figure released by Public Health England (PHE) compares the impact of Change4Life’s 2014 New Year campaign to the impact of its January 2013 campaign. From January to May 2014, the average fall in purchasing was more than 5%. The cut in consumption has been measured across four campaign-partner retailers – Asda, Co-operative Food, Aldi and Lidl. More than 400,000-plus families signed up to Change4Life’s Smart Swaps initiative, with the campaign website attracting more than three million unique visitors, PHE said. 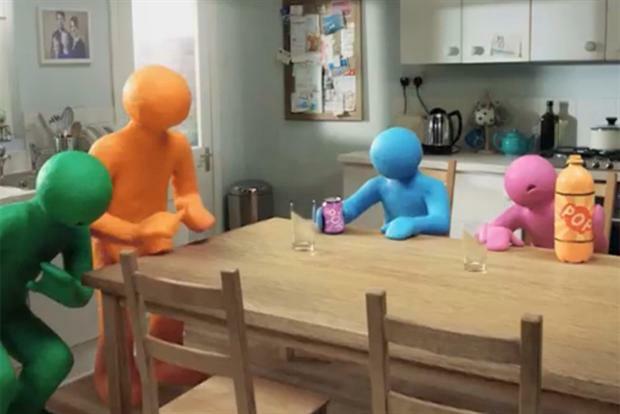 At the heart of the campaign was a TV ad highlighting the quantities of sugar in popular soft drinks and encouraging people to visit the campaign site and claim vouchers giving them money off "sugar-free" alternatives. PHE said it is also embarking on a new marketing strategy built around three age groups – Starting Well, Living Well and Ageing Well. The strategy will also encompass improving mental health and reducing alcohol consumption. Dr Alison Tedstone, PHE’s chief nutritionist, said: "The reduction in the purchase of sugary drinks over January 2014 compared to the same period in 2013 is encouraging. Because this reduction coincides with the period of the Change4Life Smart Swaps campaign it suggests the influence marketing can have on behaviour change." Sheila Mitchell, PHE’s marketing director, added "Over the next three years we have an ambitious programme of evidence-based marketing campaigns which will help cut deaths and improve health outcomes."